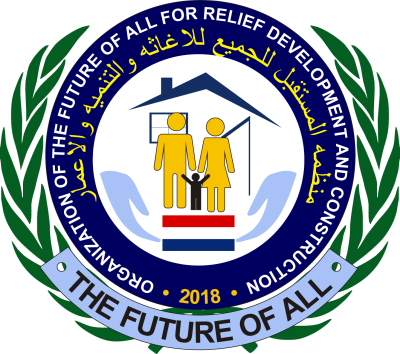 The future of all organization is a Netherlands-based organization that works worldwide in various sectors such as relief, development and construction. We also help countries to develop their economy. The future of all believes in the sustainability of human development and poverty alleviation and struggles to enable vulnerable groups (women and children, people with special needs, displaced people and refugees etc..) to exercise their civil rights in their communities and lead a dignified social and economic existence with improved living conditions. We at the organization of the future of all help different countries to reform their ecenomy. We work with various organizations and governments that provide loans without interest to different sectors that is good for ecenomy. The organizations provide loans to private sectors and to public sectors. 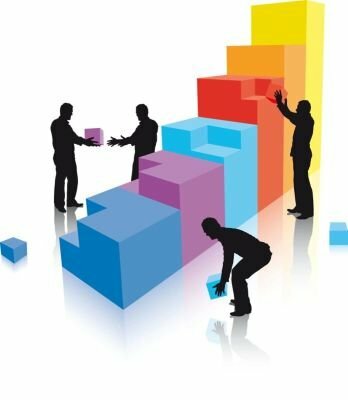 We at The future of all help with the entire process and lead the projects. In this way we protect the loans and ensure that the entire project ends well. We provide loans to energy, transportation, water & sanitation, telecommunications, health, education, agriculture, industry, finance, infrastructure and mining. Education is one of the most important things a child needs, but not all children get the chance to go to school or they go, but there is a lack of good education that comes from many circumstances such as: war, destroyed schools, bad educated teachers, no good matrials, no good learning areas, no money, no libraries, no internet centers, they are not allowed by their parents, they can not because they have to watch their sisters or brothers, they do not get enough tutoring and many more things what I can mention. That is why we (THE FUTURE OF ALL) have many projects open to improve or completely remove all these points mentioned above. Health is one of the most important things that a person must have in order to be able to return to life. We of Organization of THE FUTURE OF ALL find it important to improve many things that have to do with health in Iraq. Many cities in Iraq have been bombed flat in the horrifying war against IS. alBecause almost all hospitals have been bombed and many doctors lack experience, there is a shortage of care. We at THE FUTURE OF ALL ORGANIZATION want to change that. We want to create several projects to reduce the shortage of care, but it would be great if we let the deficit or care disappear completely and you can help us with that. For more information on how you can help us with that, please visit our page: Donate. Here below we show you what we want to work on to help so many people with care. As you and many others know, many people in Iraq have fled the country because of the war. They have left everything behind and three of the most important things are: food, drinks and clothes. Almost everything has been destroyed by the violent war against the terorristic group IS, such as houses, hospitals, schools etc. Supplies of food, drink and clothes have also fallen short. 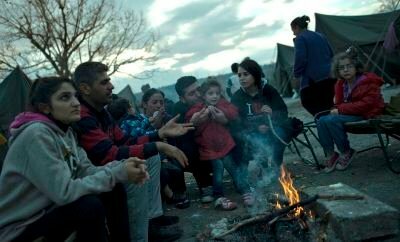 After this fierce war people are trying to pick up their lives again, but before people can move back into their houses and start working again and start their normal life again, people need food, drinks and clothes. That is why we are going to give people as much food, drink and clothes as possible. 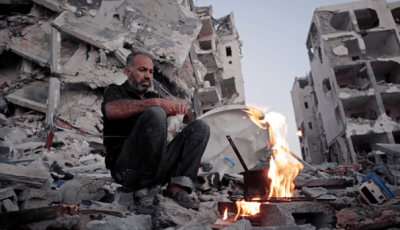 The winter is about to start soon and 80 percent of the population has lost their home, where several months ago there was fierce fighting against the terrorist group IS. The winter in Iraq can be very intense, so intense that people do not get warm enough that they can die from the cold. That is why we want to start rebuilding the houses that have been bombed as soon as possible. It is about what amount we receive. At small amounts we help with house building or furnishing, but at large sums we can instruct contractors and architects to rebuild houses again. We have a plan and that plan works like this, we first see how much money we get and what we can achieve with that money. We always try to get the maximum of the minimals out, that means. That we look at how we can use as much of that money as possible. Once we have money inside. We start at the worst street that people are most affected by and we go from street to street and in as short a time as possible we want to build an entire city. Our goal is to start as soon as possible with our projects. Because we want to have as many houses as possible built before the winter starts so that the population can stay warm and safe at home in the winter. 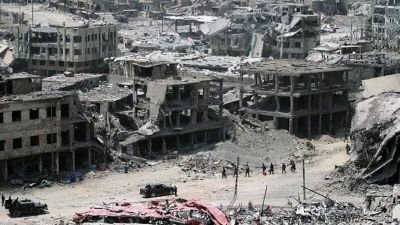 After the war against the terrorist group ISIS, many schools in the province of Mosul in Iraq were bombed, through the military actions of the international coalition against ISIS. It is almost impossible for the students to study properly because of the mess in their schools. That is why we from organization of the future of all aim to rebuild as many schools as possible to give the students motivation to study. Click on the button learn more to see the details of the project. 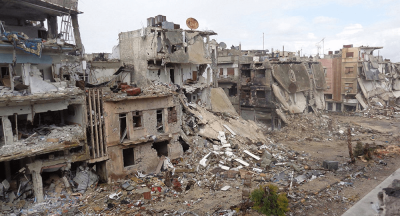 After the violent war against the ISIS terrorist group, many houses have been bombed. The whole house is almost bombed and there is nothing left of the house. People have no roofs, beaten windows and collapsed walls. We of organization of the future of all have decided to rebuild as many houses as possible that have been bombed from the poor people in Mosul (Iraq). For the details of the project you can click on learn more. After the war against the terrorist group ISIS in Iraq, there is a shortage of ambulance cars in provinces such as Mosul. Those ambulance cars are needed if, for example, there is an emergency situation so that cars can be used to help the people in need. That is why we want to carry out this project for the provinces where they do not have ambulance cars or provinces where they have shortage of ambulance cars. Click on learn more for the details of the project. In the war against the terrorist group ISIS, many families have been fled and left everything behind. Now after the war that they have returned, more than 1000 families have nothing and therefore no food. The people there have lost a lot of their homes have been destroyed, their money and valuables have been caught by the ISIS fighters. They sleep on the ground in bombed houses. And they are often days without food and drink. That's why we want to supply them with food baskets. So that they can survive and feed their children. For the details of the project you can click on learn more. 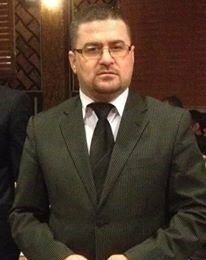 The founder and chairman of organization OF THE FUTURE OF ALL is the businessman Ismail Saleh with more than 25 years of experience as an entrepreneur. Has now taken the initiative to help people in different sectors. Of course you can also participate in our charities. You can do that by donating money. You can deposit the money into our bank account number. There is no minimum or maximum with our organization. You can deposit as much as you want, because all the bits help. We try to distribute the money we receive in different sectors, but if you want the money you have deposited to go to a certain sector, you can report it to us. for questions and more information you can always send us an E-mail or call us. for relief, development and construction. In deze verklaring leg ik jullie uit wat onze beleidsplan is. Wij zijn een humanitaire stichting die zich inzet om de mensen te helpen in de Iraakse provincies die zijn gebombardeerd in de oorlog tegen de terroristche groep ISIS. Wij zijn zelf Irakezen en zien hoe slecht in Irak aan toe gaat. We kregen velen hulp verzoeken vanuit Irak om ze te helpen in verschillende sectoren. Schooltassen geven aan de studenten zodat ze motivatie krijgen voor studeren. Scholen herbouwen die zijn verwoest na de oorlog tegen terroriscthe groep isis. Rolstoelen geven aan de handicappen. We willen medicijnen aan ziekenhuizen geven, waar ze geen genoeg medicijnen hebben. En zo hebben we meer goede doelen projecten waar we de Iraakse mensen willen helpen die in nood zijn voor meer informatie kunt u vinden op onze website: www.tefutureofall.org En al onze projecten die we willen uitvoeren zijn allemaal zonder oog op winstmerk. Wij richten ons niet maar op een doelgroep en ook niet op een gerichtige geloofsgroep , wij willen alle mensen helpen die hulp nodig hebben. Wij gaan werken in landen waar ze hulp nodig hebben. Wij hebben nog geen geld gekregen om onze projecten uit te kunnen voeren, we hebben wel contact gemaakt met verschillende hulp organisaties zoals: VN, GIZ en de stichting van koning Salman, de koning van Saudi-Arabie. Al het geld die we binnen krijgen proberen we zo goed mogelijk dat voor onze goede doelen projecten te gebruiken. algemeen bestuurslid (indien van toepassing): Op dit moment geen andere bestuursleden dan hier boven genoemd. Wij hebben deze stichting opgericht met een doel en dat is om zoveel mogelijk mensen te helpen. De bestuurleden van onze stichting krijgen geen beloning alles wat wij doen is vrijwillig en voor de goede doel. Wij van de bestuur hebben besloten dat alle geld die binnen komt, dat het op de bankrekening van onze stichting terecht moet komen en dat niemand van dat geld kan pakken alleen als bedoeld is om een goede doel project te kunnen uitvoeren. Wij hebben op dit moment geen raad van toezicht, omdat we nog geen geld hebben binnen gekregen voor onze projecten. Wanneer wij geld krijgen voor onze projecten dan gaan we een raad van toezicht aanvragen. Neem een zo gedetailleerd mogelijk cijfermatig overzicht op van alle inkomsten en uitgaven, te weten een begroting of meerjarige prognose. Het verdient de voorkeur om een prognose van drie jaren op te stellen. zoals via collectes of een sponsorloop. Geef ook aan hoeveel u verwacht op te halen bij dergelijke activiteiten. Zoals jullie weten hebben wij deze stichting nieuw opgericht dat is op de datum van 26 april 2018. Daarom hebben wij tot nu toe nog geen voorgenomen voorzieningen en reserveringen en stamvermogen binnen gekregen. Wij hebben nog geen donaties binnen gekregen om onze projecten te kunnen uitvoeren. Om aan jullie te laten zien wat de inkomsten, uitgaven en beloningen.